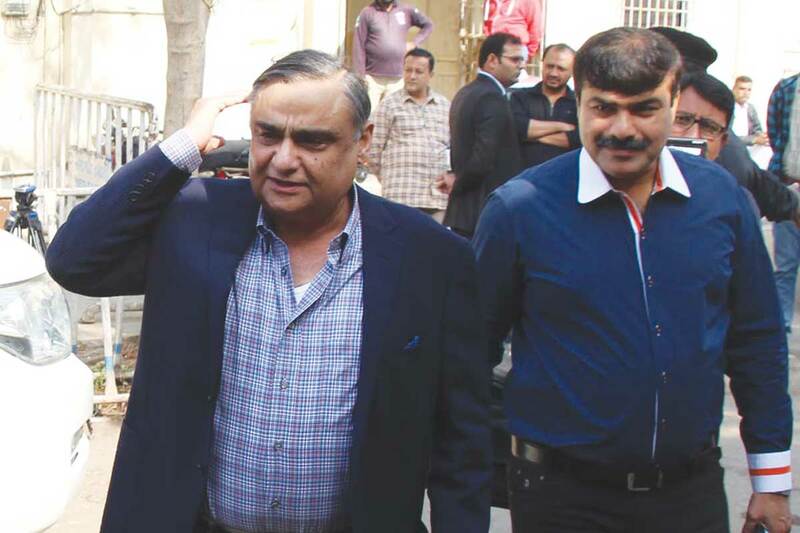 KARACHI: Prosecution witness Shoaib Ahmed, the company secretary of the Sui Southern Gas Company Limited (SSGCL), appeared before the accountability court IV for recording his statements in NAB reference No.19/2016 of Jamshoro Joint Venture Limited (JJVL) case, against former petroleum minister Dr Asim Hussain and others on Saturday. Defence counsels Farooq Naek and Azhar Siddiq Chaudhry while examining his documents submitted in the court raised objection that he had not produced the original record. Court ordered the witness to bring the documents in original on 2nd Feb 2019. It may be mentioned here that the accountability court’s presiding officer on previous hearing of 19th January had ordered to call Dr Anwer Sehto, Dr Shakeel Ahmed and Shoaib Ahmed for recording their statements today. However, only Shoaib Ahmed was the NAB evidence who appeared before the court. The court was to record statement of prosecution witnesses from Federal Board of Revenue yesterday. However, the witness failed to appear and Presiding Officer Farid Anwar Qazi fixed the next date as 7th February, 2019. The court had also called Abdul Hameed in NAB reference No.13-A/2016 for prosecution evidence and hearing application of accused filed u/s 265-C r/w 94 Cr.P.C. r/w 540 Cr.P.C. r/w Article 10-A of Constitution. Shaukat Hayat, defence counsel for Hameed talking to ‘National Courier’ said his client had severe backache in jail custody over which the court had allowed him to submit medical report but the jail superintendent has yet not submitted it. He has submitted an application in the court yesterday to submit the MRI report before next hearing.